A Fare To Remember! Book now for unforgettable adventures! For as low as P 599 All In. 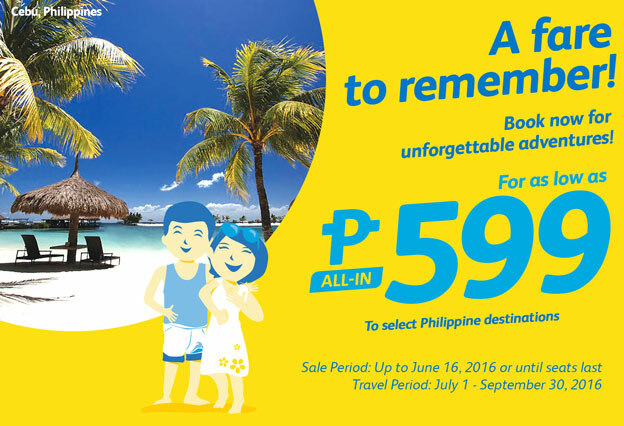 Get the cheapest fare this June offered by Cebu Pacific Air Promo Fares!